Global Healing is fortunate to have had many wonderful volunteers and supporters over the years. Thank You Carl Taibl for almost 9 years of service as a member of the board and volunteer CFO. 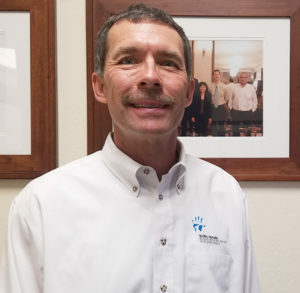 When Carl Taibl heard from a colleague that Global Healing was seeking a board member with his financial acumen, he was intrigued by the opportunity. As the chief financial officer of a nonprofit, Carl thought it would be a good experience for him to be on the other side of the table. However, Carl says he did not yet know much about our work or the convenient fact that our office was located just across the street from the organization for which he was then CFO. “It was a funny series of coincidences so I knew it was meant to be,” Carl says, adding that he soon learned that two other members of the board were neighbors of his in Danville— one of whom he had played tennis with and another whose son had coached Carl’s son in swimming. To that end, Carl has done a beautiful job managing our finances. We were very fortunate to have an endowment for nearly 10 years, and Carl has helped us tremendously in making the most of it so we could provide even more medical care and training in our sites around the globe. 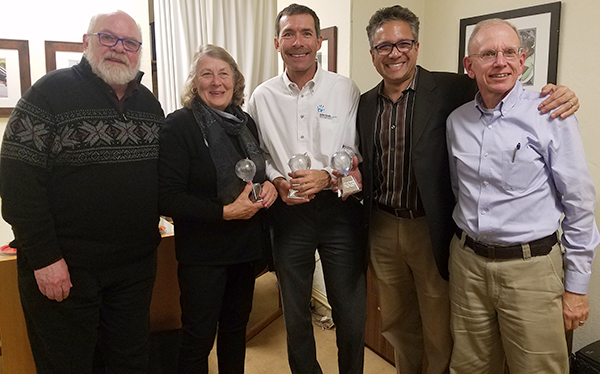 Left to Right: Jim MacPherson, Alice Gruber, Carl Taibl, Arup Roy-Burman, and John Donnelly. As for Global Healing’s work, Carl says our total impact is difficult to measure since we can’t know how many lives might have been lost had Global Healing not gone in to all of our sites to partner with the local medical communities. As a busy CFO and father, Carl says his one regret is that he was not able to travel to one of our Global Healing sites during his tenure on the board. “My guidance would be for all board members to do at least one trip,” he says. Carl looks forward to staying in touch with Global Healing in the months and years ahead. We look forward to that, too, Carl! Thank you very much for your time and dedication to Global Healing.